Today one of our customers called in complaining that none of their desktop icons worked. They said all of their icons were made .lnk files and everything would try opening up in Microsoft Word. Windows Media Player, Internet Explorer and other programs also were .lnk files and would try to open in Microsoft Word. Here is how I solved the issue. Download this file unassoc.zip and save to desktop. Go to your desktop, right click on the unassoc.zip folder and hit extract all. 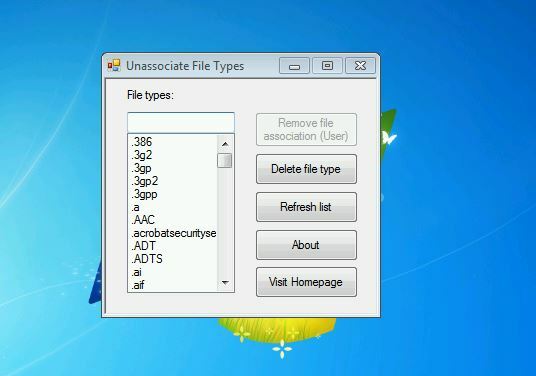 Run the Unassoc.exe file and you will come up to the following box. Now find the file type that every shortcut or icon is trying to use ( in my case .lnk ). Click on the file type and hit Remove file association. Once you remove the file association it will set it back to default. Once I did that the shortcuts and programs worked fine. 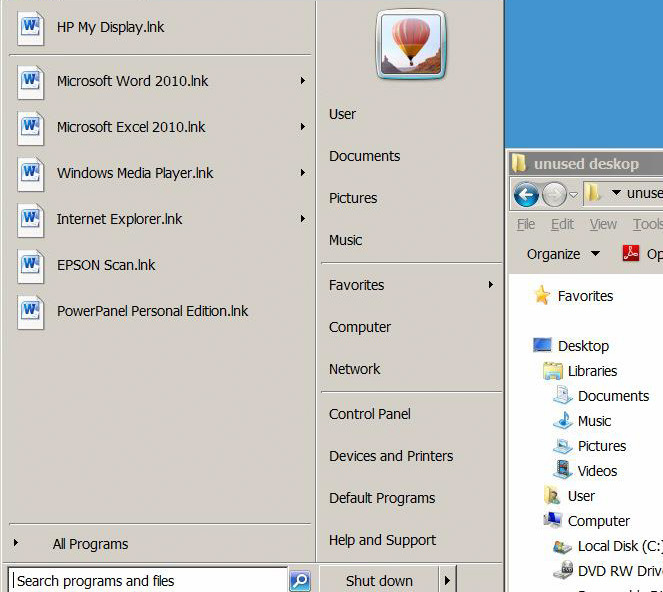 This entry was posted in Troubleshooting and tagged file extensions, shortcuts, utilies, Windows 7 on September 4, 2013 by Merlin Halteman.